The show will be on available for viewing May 2nd – 28th. 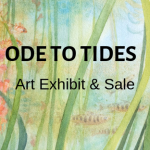 The Wetlands Conservancy and partners are sponsoring Ode to the Tides, a traveling art exhibit and sale in 2019 to highlight the beauty, ecological, and economic value of near-shore coastal habitats. The exhibit will focus on the plants, animals, and fish that live in estuaries and tide pools where fresh and salt water combine. The goals of the exhibition are to celebrate the aesthetic and ecological significance of Oregon’s estuaries, tide pools and intertidal habitats, and build a diverse community of Oregonians and coastal visitors to promote protection and conservation for generations to come. Ode to the Tides will contain original art in a variety of media, created by Northwest artists, and will be displayed at seven venues on the Northern Oregon coast and Willamette Valley from May-December 2019. Ode to the Tides goals are to recognize the aesthetic and ecological significance Oregon’s estuaries, tide pools and intertidal habitats, to spark community and creative interdisciplinary engagement, promote conservation and enhance visitor experience and support of coastal resources and communities. In addition to the exhibition and sales of art to support coastal conservation, each venue will offer scientific programs, student led events, outdoor and food experiences for visitors throughout the time the show. Join us for a refreshing and inspiring evening filled with practical advice, that will leave you and your family feeling empowered to engage in positive climate solutions — no matter how busy you are. 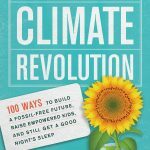 Mary DeMocker’s book The Parents’ Guide to Climate Revolution: 100 Ways to Build a Fossil-Free Future, Raise Empowered Kids, and Still Get a Good Night’s Sleep is a finalist for the 2019 Oregon Book Award, and has been featured on Yale Climate Connections and recommended in The New York Times. DeMocker is the co-founder and former creative director of 350 Eugene, with whom she designed and co-led family-centered climate rallies featured on PBS NewsHour, ArtCOP21, and in an Avaaz video shown to world leaders entering Paris climate talks. She has written about climate recovery for many publications, including The Sun and The Oregonian. Visit: marydemocker.com to learn more. 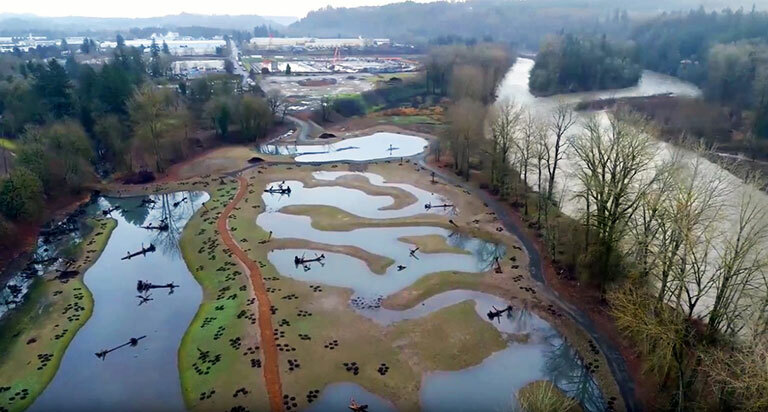 Sponsored by NW Neighborhood Team of 350PDX, The Wetlands Conservancy, ECO (Ecology in Classrooms & Outdoors) and Havurah Shalom Climate Action Team. Join TWC Executive Director Esther Lev on a springtime tour of Malheur Wildlife refuge an 187,757 acre oasis of water in the high desert of southeast Oregon. This area is one of the premier sites for birds and birding in the US. 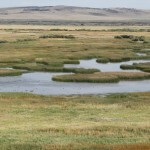 These arid Oregon’s greatest wetlands provide livelihoods for farmers and ranchers, and critical habitat for large diversity of avian, plant and amphibian species. The spring birding is about both abundance and diversity, which makes the experience equally enjoyable for beginners and experts alike. Learn about TWC’s work with the refuge, ranchers and other conservation groups to conserve these critical wetlands. This 1.5 day tour includes lunch and ends with dinner at the Diamond Hotel.